Each bedroom in our Family suite, has free Wifi and a colour TV. 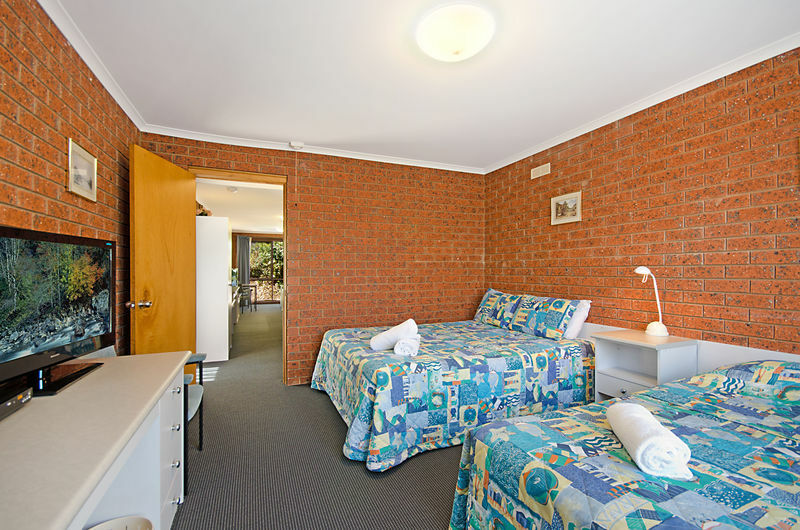 Like all our suites, it boasts air-conditioning,Free Foxtel,plus Foxfooty in main bedroom mini snackbar, toaster, microwave, and tea & coffee making facilities . 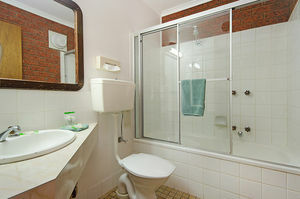 The bathroom has a bath with a shower installed overhead. 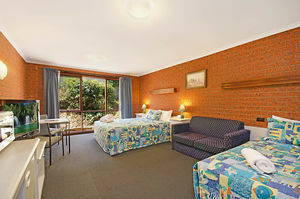 Little extras such as tissues and biscuits make the rooms a home away from home. The main bedroom has Queen bed and a Single bed with couch, table, chairs, TV, toaster and kettle while second bedroom has a Queen bed and a Single bed. Includes a T.V A total of six people can be accomodated in this suite.